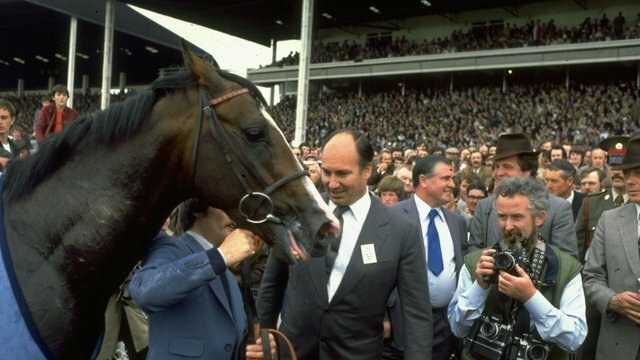 30 years on: What happened to Shergar? 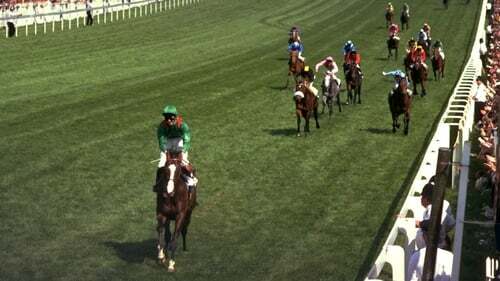 Shergar, the greatest racehorse of his day, had just romped home again. Four weeks earlier, he stunned the racing public by winning the Epson Derby by 10 lengths, a record margin that century for Britain’s biggest flat race. In one blistering season, Shergar’s owner the Aga Khan pocketed £436,000 in prize money. When he retired the stallion to stud in September 1981, he sold shares in the horse at £250,000 each. He kept six shares, while another 34 were swept up by racing luminaries such as John Magnier, Lord Derby and Sheikh Maktoum Al Maktoum. The following year Shergar “covered” 35 mares, with owners coughing up approximately £80,000 a twist for the privilege. He was expected to cover about 55 mares in 1983, but with only a week to go to stud, on 8 February, he disappeared, following an audacious swoop by a kidnap gang. They had timed their move carefully, knowing that every day in captivity would result in a fortune lost in stud fees. The night of the kidnap was a moonless, foggy one. Security at Shergar’s stables in Ballymany stud, which is only a few hundred yards from the Curragh racecourse in Co Kildare, was non-existent. There were no security guards on duty. The yard’s surveillance cameras were faulty. When the kidnappers’ car, pulling an empty, stolen horsebox, ambled up to it, there wasn’t even a lock to negotiate, only a latch on its five-bar wooden gate. Nine men, armed and masked with walkie-talkies, had barged into the house of head groom, Jim Fitzgerald, then aged 53 and the father of six children, a little after 8.30pm. Two gunmen kept “guard” of his family while he was led by gunpoint to Shergar. He was later dumped on a country road a few miles from the stud farm, with a warning ringing in his ears not to call the police. Once Fitzgerald got back to his house, he phoned the stud manager, Ghislain Drion, who phoned Stan Cosgrove, Shergar’s vet and one of the stallion’s shareholders, who called on his friend, Captain Sean Berry, a former Army officer, who in turn picked up the phone to local TD and Minister for Finance, Alan Dukes. “They were both extremely agitated,” says Dukes. “I was a bit taken aback to get a call at that hour of the morning with the story that Shergar had gone missing and they suspected he had been kidnapped. Quite honestly, I had a lot of other things on my mind at the time. I was due to deliver the budget on the following day. So getting a phone call at 3am about a horse going missing wasn’t exactly what I wanted to be hearing. By the time the Gardaí were alerted, the trail for Shergar had gone cold. Cleverly, the kidnappers had chosen to seize the horse on the night before the year’s biggest horse-selling auction at Goffs’ when every road in the country was being trammelled by horseboxes. A nationwide hunt for Shergar ensued while wild rumours circulated about his whereabouts. Eccentric racing pundit John McCririck wondered in a television interview if someone holding a vendetta against the Aga Khan, spiritual leader of 15 million Ismailia Muslims, had lifted the horse. Others reckoned Shergar was holed up in the desert in Libya with Colonel Gaddafi, spirited there in exchange for arms to the IRA. Gardaí were short on firm leads. “A clue? That is something we haven’t got,” said Chief Superintendent James “The Jazzer” Murphy. Invariably filmed with a trilby hat, Murphy, who looked a ringer for John Cowley’s lead character in the TV soap opera The Riordans, became a darling of the world’s media, which descended on the country to cover the search. At one stage, he confided to news cameras that the number of “clairvoyants, diviners and psychic persons” working on the case was at the 50-mark. Negotiations for Sherar’s release for a £2 million ransom foundered because he wasn’t owned outright by the Aga Khan but by a syndicate of shareholders. The Aga Khan in any case refused to pay out a ransom to avoid setting a precedent for extortion, a stance also taken by the Irish and British governments. One attempted parlay with the kidnappers led Cosgrove, one of the shareholders, to the Crofton Airport Hotel in Dublin. He was told to go to reception and ask for a message for Johnny Logan, the name of Ireland’s Eurovision Song Contest winner in 1980. The presence, however, of plainclothes Gardaí crawling around the hotel prevented the kidnappers from being flushed out. During a Channel 4 documentary in 2004, a disgruntled Cosgrove vowed never to talk again about the Shergar case. Unlike the other shareholders, his insurance policy with the Norwich Credit Union didn’t cover theft. It would only pay out in the event of the horse’s death, but as Shergar’s body has never been found, the vet remains out of pocket. Since the kidnapping 30 years ago, several people, including at least one convicted swindler, claim to have stumbled upon his remains. During a conversation in the Garden of Remembrance in Dublin a month or two after the kidnapping, O’Callaghan calims he was told by Gerry Fitzgerald, another one of alleged kidnap team, that they had to kill Shergar “very quickly” because the frisky stallion was out of control. “Mallon was on his honeymoon and he’d been up in Ballinamore, north Leitrim. And knowing Kevin and his liking for the glamorous, Ballinamore was not a place he’d have chosen for his honeymoon. There was the kind of place that you could hold somebody – when you’re talking about Ireland – for several weeks, isolated auld areas, looking for a needle in a haystack kind of thing, people would keep their mouths shut, not out of fear but a cultural old thing of ‘not telling’.